ISLAMABAD, Feb 13: The National Assembly allowed the introduction of a ruling party member's bill designed to amend the Constitution to insert a key speech of Quaid-i-Azam Mohammed Ali Jinnah about Pakistan's polity, overruling a ministerial objection. Law and Parliamentary Affairs Minister Sher Afgan Khan Niazi, who is incharge of the government's legislative business in parliament, opposed MP Bhandara's private bill that seeks to incorporate in the Constitution the Quaid-i-Azam's historic August 11, 1947 speech to the then Constituent Assembly with words that religion would have "nothing to do with business of the state". But a majority of ruling coalition and opposition members voted ‘yes’ to allow Mr Bhandara, a member of the ruling Pakistan Muslim League (PML), to introduce his Constitution (Amendment) Bill seeking insertion in the Constitution of a new article consisting of the Quaid's speech, often quoted by liberal politicians and writers to oppose perceived moves by religious parties to turn Pakistan into a theocracy. Speaker Chaudhry Amir Hussain referred the bill to a house standing committee, where it is likely to generate a lot of controversy, though the move faces an uncertain fate as no party in the government or the opposition has yet to take a position on the draft, which needs a two-thirds majority in both the 342-seat National Assembly and the 100-seat Senate to be passed by each house. Mr Bhandara later told Dawn that his bill sought to restore an ‘ideological balance’ envisioned by the Quaid-i-Azam but lost by the insertion Article 2-A that made the Objectives Resolution, passed by the Constitution Assembly in the 1950s, a substantive part of the Constitution. 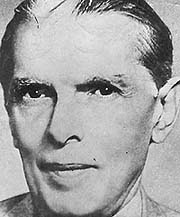 The Objectives Resolution was part of the preamble of the original 1973 Constitution but was made an enforceable substantive part through the controversial Eighth Amendment during the regime of former military ruler General Mohammad Zia-ul-Haq as part of his drive to Islamise the Pakistani society. Mr Bhandara, whose bill calls for the insertion of the Quaid-i-Azam’s speech as Article 2-B of the Constitution, said he would try in the standing committee to get his amendment renumbered as Article 2-A and the present Article 2-A as Article 2-B, and would be satisfied if only the relevant portion or the gist of the speech rather than the whole text was inserted in a ‘useful manner’. The turn of his bill, which has been pending on the house agenda for a long time, came in the absence of its hardest likely opponents in the Muttahida Majlis-i-Amal (MMA) alliance of six Islamic parties, who boycotted the National Assembly’s present session until Tuesday to protest against the passage of the women’s rights bill by both houses of parliament in November. 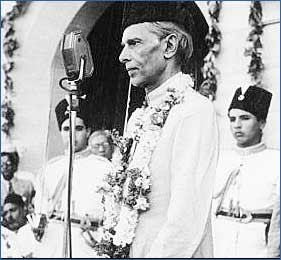 Members of religious parties have often quoted other speeches of the Quaid-i-Azam to counter argument for a secular polity. The Objectives Resolution says that in Pakistan “Muslims shall be enabled to order their lives in the individual and collective spheres in accordance with the teachings and requirements of Islam as set out in the Holy Quran and the Sunnah”, and “adequate provision shall be made for the minorities to profess and practice their religion and develop their cultures”. I cordially thank you, with the utmost sincerity, for the honor you have conferred upon me – the greatest honor that is possible for this Sovereign Assembly to confer – by electing me as your first President. I also thank those leaders who have spoken in appreciation of my services and their personal references to me. I sincerely hope that with your support and your co-operation we shall make this Constituent Assembly an example to the world. The Constituent Assembly has got two main functions to perform. The first is the very onerous and responsible task of framing our future constitution of Pakistan and the second or functioning as a full and complete sovereign body as the Federal Legislature of Pakistan. We have to do the best we can in adopting a provisional constitution for the Federal Legislature of Pakistan. 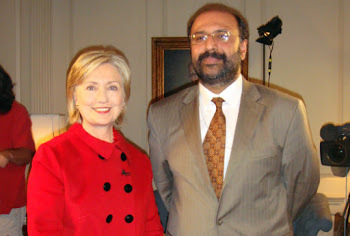 You know really that not only we ourselves are wondering but, I think, the whole world is wondering at this unprecedented cyclonic revolution which has brought about the plan of creating and establishing two independent sovereign Dominions in this sub-continent. As it is, it has been unprecedented; there is no parallel in the history of the world. This mighty sub-continent with all kinds of inhabitants has been brought under a plan which is titanic, unknown, unparalleled. And what is very important with regard to it is that we have achieved it peacefully and by means of an evolution of the greatest possible character. Dealing with our first function in this Assembly, I cannot make any well-considered pronouncement at this moment, but I shall say a few things as they occur to me. The first and the foremost thing that I would like to emphasize is this – remember that you are now a sovereign legislative body and you have got all the powers. It, therefore, places on you the gravest responsibility as to how you should take your decisions. The first observation that I would like to make is this: You will no doubt agree with me that the first duty of a government is to maintain law and order, so that the life, property and religious beliefs of its subjects are fully protected by the State. The second thing that occurs to me is this: One of the biggest curses from which India is suffering – I do not say that other countries are free from it, but, I think, our condition is much worse – is bribery and corruption. That really is a poison. We must put that down with an iron hand and I hope that you will take adequate measures as soon as it is possible for this Assembly to do so. Black-marketing is another curse. Well, I know that black-marketeers are frequently caught and punished. Judicial sentences are passed or sometimes fines only are imposed. Now you have to tackle this monster which today is a colossal crime against society, in our distressed conditions, when we constantly face shortage of food and other essential commodities of life. A citizen who does black-marketing commits, I think, a greater crime than the biggest and most grievous of crimes. These black-marketeers are really knowing, intelligent and ordinarily responsible people, and when they indulge in black-marketing, I think they ought to be very severely punished, because they undermine the entire system of control and regulation of foodstuffs and essential commodities, and cause wholesale starvation and want and even death. The next thing that strikes me is this: Here again it is a legacy which has been passed on to us. Alongwith many other things, good and bad, has arrived this great evil – the evil of nepotism and jobbery. This evil must be crushed relentlessly. I want to make it quite clear that I shall never tolerate any kind of jobbery, nepotism or any influence directly or indirectly brought to bear upon me. Whenever I will find that such a practice is in vogue or is continuing anywhere, low or high, I shall certainly not countenance it. I know there are people who do not quite agree with the division of India and the partition of the Punjab and Bengal. Much has been said against it, but now that it has been accepted, it is the duty of everyone of us to loyally abide by it and honorably act according to the agreement which is now final and binding on all. But you must remember, as I have said, that this mighty revolution that has taken place is unprecedented. One can quite understand the feeling that exists between the two communities wherever one community is in majority and the other is in minority. But the question is, whether it was possible or practicable to act otherwise than what has been done. A division had to take place. 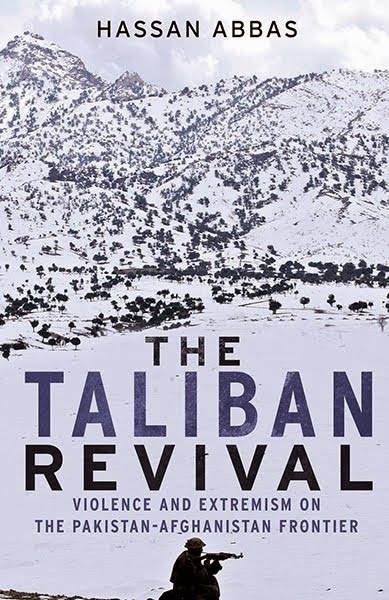 On both sides, in Hindustan and Pakistan, there are sections of people who may not agree with it, who may not like it, but in my judgment there was no other solution and I am sure future history will record its verdict in favor of it. And what is more it will be proved by actual experience as we go on that was the only solution of India’s constitutional problem. Any idea of a united India could never have worked and in my judgment it would have led us to terrific disaster. May be that view is correct; may be it is not; that remains to be seen. All the same, in this division it was impossible to avoid the question of minorities being in one Dominion or the other. Now that was unavoidable. There is no other solution. Now what shall we do? Now, if we want to make this great State of Pakistan happy and prosperous we should wholly and solely concentrate on the well being of the people, and especially of the masses and the poor. If you will work in co-operation, forgetting the past, burying the hatchet, you are bound to succeed. If you change your past and work together in a spirit that everyone of you, no matter to what community he belongs, no matter what relations he had with you in the past, no matter what is his color, caste or creed, is first, second and last a citizen of this State with equal rights, privileges and obligations, there will be no end to the progress you will make. I cannot emphasize it too much. We should begin to work in that spirit and in course of time all these angularities of the majority and minority communities, the Hindu community and the Muslim community – because even as regards Muslims you have Pathans, Punjabis, Shias, Sunnis and so on and among the Hindus you have Brahmins, Vashnavas, Khatris, also Bengalees, Madrasis, and so on – will vanish. Indeed if you ask me this has been the biggest hindrance in the way of India to attain the freedom and independence and but for this we would have been free peoples long long ago. No power can hold another nation, and specially a nation of 400 million souls in subjection; nobody could have conquered you, and even if it had happened, nobody could have continued its hold on you for any length of time but for this. Therefore, we must learn a lesson from this. You are free; you are free to go to your temples, you are free to go to your mosques or to any other place of worship in this State of Pakistan. You may belong to any religion or caste or creed – that has nothing to do with the business of the State. As you know, history shows that in England conditions, some time ago, were much worse than those prevailing in India today. The Roman Catholics and the Protestants persecuted each other. Even now there are some State in existence where there are discriminations made and bars imposed against a particular class. Thank God, we are not starting in those days. We are starting in the days when there is no discrimination, no distinction between one community and another, no discrimination between one caste or creed and another. We are starting with this fundamental principle that we are all citizens and equal citizens of one State. The people of England in course of time had to face the realities of the situation and had to discharge the responsibilities and burdens placed upon them by the government of their country and they went through that fire step by step. Today, you might say with justice that Roman Catholics and Protestants do no exist; what exists now is that every man is a citizen, an equal citizen of Great Britain and they are all members of the Nation. Well, gentlemen, I do not wish to take up any more of your time and thank you again for the honor you have done to me. I shall always be guided by the principles of justice and fairplay without any, as is put in the political language, prejudice or ill-will, in other words, partiality or favoritism. My guiding principle will be justice and complete impartiality, and I am sure that with your support and co-operation, I can look forward to Pakistan becoming one of the greatest nations of the world. On the occasion of the first meeting of the Constituent Assembly for Pakistan, I extend to you and to the members of the Assembly, the best wishes of the Government and the people of the United States for the successful conclusion of the great work you are about to undertake.